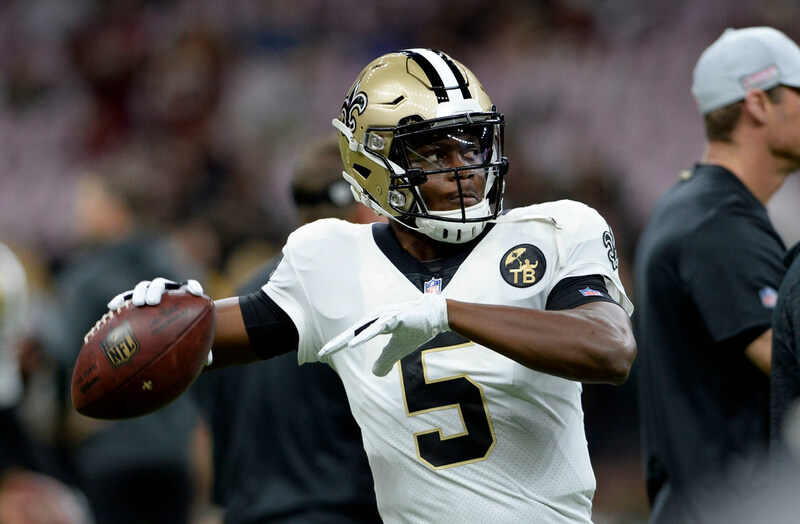 *Teddy Bridgewater is a Miami native who has spent almost all of the last three seasons — prime years of a young quarterback’s career — either rehabbing or holding a clipboard because of a gruesome knee injury suffered during the 2016 preseason with the Vikings. He’s a free agent on the open market, and in his last season as a starter in 2015 he helped Minnesota to an 11-5 record and a playoff berth. The Miami Dolphins are a NFL team in desperate need of a starting quarterback. They seem to have finally reached the conclusion that one pretty good year from Ryan Tannehill doesn’t outweigh five mediocre years. It seems to be an obvious match — if not forever, then at least for now. But when money and a salary cap is involved, nothing is ever quite that simple. Indeed, the reported two-year, $10 million deal the Dolphins offered (and Bridgewater rejected) is far below what a starter could expect to make. Tyrod Taylor, another Dolphins target, just signed for two years and $11 million to be Philip Rivers’ backup in San Diego. Bridgewater’s leverage is that the Dolphins need a QB. But Miami has leverage, too. Basically, this is Bridgewater’s best chance to play in 2019. His other main option is returning to the Saints to be Drew Brees’ backup — and waiting patiently to take over for Brees someday. But there’s no guarantee when that will be, and Brees certainly will be the starter in 2019. It’s just hard for me to imagine Bridgewater wanting to basically sit on the sidelines (barring a Brees injury) for a fourth consecutive season. He needs to play, and this is his chance. Maybe Teddy is wary of Miami telling him one thing now and then drafting a QB next month and turning things into a competition. Or maybe he’s just exerting his leverage to get back some of the earnings he’s lost in recent years. Maybe the Dolphins are trying to have it all and will realize they have to give a little more. If you’re rooting for Teddy, though, I think you’re rooting for the two sides to figure it out. It just makes too much sense not to. *MLB is getting proactive in changing rules and trying to make labor peace. That hasn’t really been the sport’s reputation for the last, oh, century-plus. But it’s refreshing. *The Lakers reportedly thought about trading LeBron James, in case you’re wondering how things are going in Los Angeles. *The Gophers haven’t budged in ESPN’s Bracketology, still sitting as the No. 10 seed with a first-round game against Louisville (an interesting matchup considering the history of the Pitinos). Perhaps the game with the biggest implications in the Big Ten tips off at 11:30 a.m. between Indiana and Ohio State.